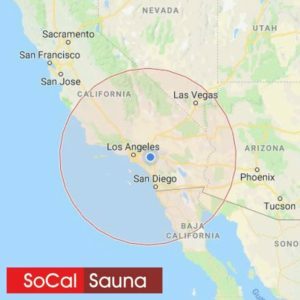 Please fill out the form below to schedule a NO COST consultation to make sure you get the right sauna or steam room experience! 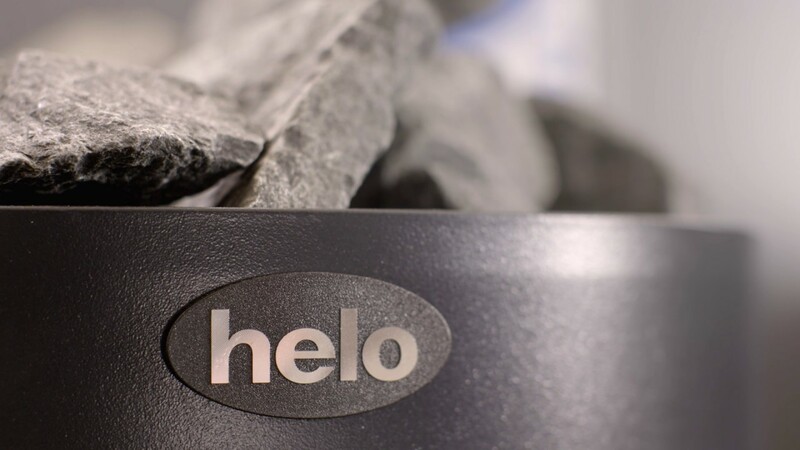 Request a Helo-Amerec Product Catalog! 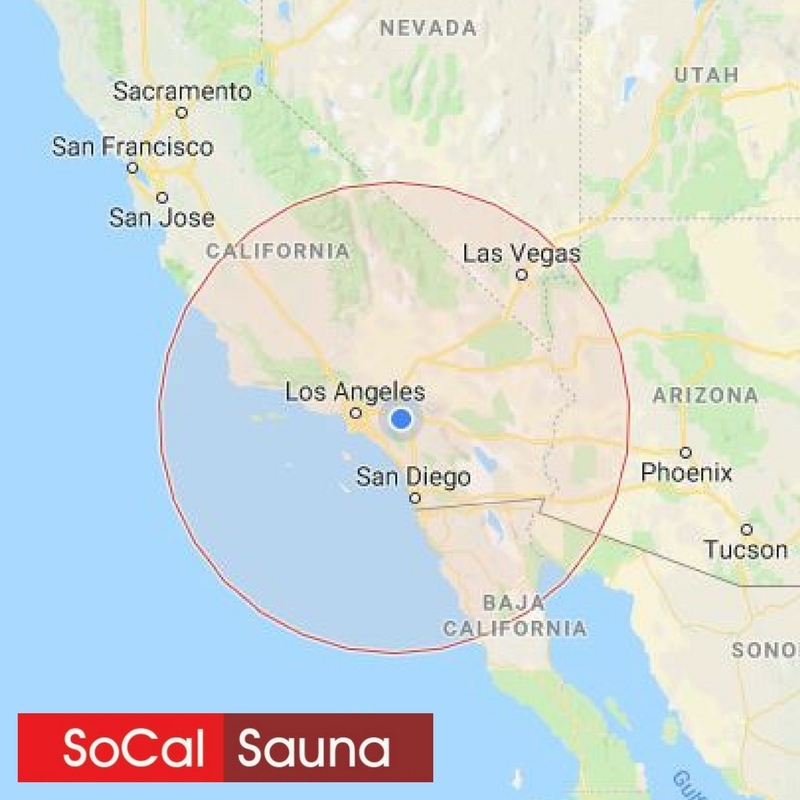 If you're located in the map below, from Central California to San Diego and from Las Vegas to the Pacific Ocean we're your Authorized Helo and Amerec Dealer! 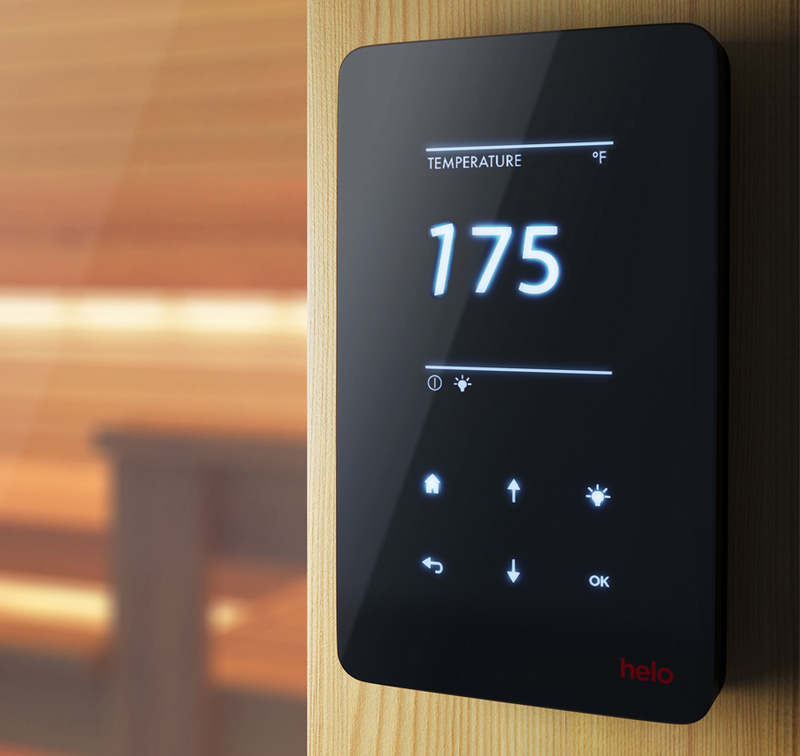 We're the Sauna and Steam Experts! Adelanto, Agoura Hills, Alameda, Alhambra, Aliso Viejo, Alpine, Altadena, Alturas, American Canyon, Anaheim, Anaheim Hills, Anderson, Angels Camp, Angelus Oaks, Antioch, Apple Valley, Aptos, Arcadia, Arcata, Arnold, Arroyo Grande, Artesia, Atascadero, Auburn, Avalon, Avila Beach, Azusa, Baker, Bakersfield, Balboa Island, Baldwin Park, Banning, Barstow, Beaumont, Bell Gardens, Bellflower, Belmont, Belmont Shore, Ben Lomond, Benicia, Berkeley, Bermuda Dunes, Beverly Hills, Big Bear Lake, Big Sur, Bishop, Blythe, Bodega, Bodega Bay, Borrego Springs, Boyes Hot Springs, Brawley, Brea, Brentwood, Brisbane, Buck Meadows, Buellton, Buena Park, Burbank, Burlingame, Buttonwillow, Calabasas, Calexico, California City, Calimesa, Calistoga, Camarillo, Cambria, Cameron Park, Campbell, Canoga Park, Canyon Lake, Capistrano Beach, Capitola, Cardiff By The Sea, Carlsbad, Carmel Valley, Carmel-By-The-Sea, Carpinteria, Carson, Castaic, Castro Valley, Catalina Island, Cathedral City, Cayucos, Ceres, Cerritos, Chatsworth, Chester, Chico, Chino, Chino Hills, Chowchilla, Chula Vista, Claremont, Clearlake, Cloverdale, Clovis, Coalinga, Colton, Commerce, Compton, Concord, Corning, Corona, Corona Del Mar, Coronado, Corte Madera, Columbia, Costa Mesa, Covina, Crescent City, Culver City, Cupertino, Cypress, Dana Point, Danville, Davis, Del Mar, Delano, Desert Hot Springs, Diamond Bar, Dinuba, Dixon, Dorris, Downey, Duarte, Dublin, Dunnigan, Dunsmuir, East Garrison, El Cajon, El Centro, El Cerrito, El Dorado Hills, El Monte, El Segundo, Elk Grove, Emeryville, Encinitas, Escalon, Escondido, Eureka, Exeter, Fairfield, Fair Oaks, Fallbrook, Fillmore, Firebaugh, Fish Camp, Folsom, Fontana, Foothill Ranch, Fort Bragg, Fortuna, Foster City, Fountain Valley, Fowler, Fremont, Fresno, Fullerton, Galt, Garberville, Garden Grove, Gardena, Geyserville, Gilroy, Glen Ellen, Glendale, Glendora, Gold River, Galt, Goleta, Gorman, Goshen, Graeagle, Granada Hills, Grass Valley, Greenfield, Grover Beach, Guadalupe, Guerneville, Hacienda Heights, Half Moon Bay, Hanford, Harbor City, Hawaiian Gardens, Hawthorne, Hayward, Healdsburg, Hemet, Hermosa Beach, Hesperia, Highland, Hollister, Hollywood, Huntington Beach, Huntington Park, Idyllwild, Imperial, Indian Wells, Irvine, Indio, Industry, Inglewood, Jackson, Jamestown, Jenner, Julian, Junction City, June Lake, Kelseyville, Kenwood, Kernville, Kettleman City, King City, Kings Beach, Kingsburg, Kirkwood, La Habra, La Jolla, La Mesa, La Mirada, La Palma, La Puente, La Quinta, Lafayette, Laguna Beach, Laguna Hills, Laguna Woods, Lake Arrowhead, Lake Elsinore, Lake Forest, Lake San Marcos, Lakeport, Lakeside, Lancaster, Larkspur, Lathrop, Lawndale, Lebec, Lee Vining, Lemon Grove, Lemoore, Lincoln, Lindsay, Little Balboa, Little River, Livermore, Lodi, Loma Linda, Lomita, Lompoc, Lone Pine, Long Beach, Loomis, Los Alamitos, Los Alamos, Los Altos, Los Angeles, Los Banos, Los Gatos, Lost Hills, Lucerne, Lynwood, Madera, Malibu, Mammoth Lakes, Manhattan Beach, Manteca, Marina, Marina Del Rey, Mariposa, Martinez, Marysville, Maywood, McFarland, Mckinleyville, Mendocino, Menlo Park, Mentone, Merced, Mill Valley, Millbrae, Milpitas, Mission Hills, Mission Viejo, Modesto, Mojave, Mokelumne Hill, Monrovia, Monte Rio, Montebello, Monterey, Monterey Park, Moreno Valley, Moraga, Morgan Hill, Morro Bay, Moss Landing, Mount Shasta, Mountain View, Murrieta, Murphys, Napa, Naples, National City, Needles, Nevada City, Newark, Newbury Park, Newport Beach, Newport Coast, Nipton, Norco, North Hollywood, Norwalk, Novato, Oakdale, Oakhurst, Oakland, Oakley, Occidental, Oceano, Oceanside, Ojai, Olympic Valley, Ontario, Orange, Orcutt, Oroville, Oxnard, Pacific Beach, Pacific Grove, Pacifica, Pala, Palm Desert, Palm Springs, Palmdale, Palo Alto, Palo Verde, Paradise, Pasadena, Paso Robles, Patterson, Perris, Pescadero, Petaluma, Phelan, Pico Rivera, Pinole, Pismo Beach, Placentia, Placerville, Playa Del Rey, Pleasant Hill, Pleasanton, Point Arena, Pollock Pines, Pomona, Port Hueneme, Porterville, Poway, Ramona, Rancho Cordova, Rancho Cucamonga, Rancho Mirage, Rancho Palos Verdes, Rancho Santa Fe, Red Bluff, Redding, Redlands, Redondo Beach, Redway, Redwood City, Rialto, Richmond, Ridgecrest, Rio Vista, Ripon, Riverside, Rocklin, Rohnert Park, Rosamond, Rosemead, Roseville, Rowland Heights, Rutherford, Sacramento, Saint Helena, Salida, Salinas, San Bernardino, San Bruno, San Carlos, San Clemente, San Diego, San Dimas, San Francisco, San Jose, San Juan Bautista, San Juan Capistrano, San Leandro, San Luis Obispo, San Marcos, San Mateo, San Pablo, San Pedro, San Rafael, San Ramon, San Simeon, San Ysidro, Santa Ana, Santa Barbara, Santa Clara, Santa Clarita, Santa Cruz, Santa Fe Springs, Santa Maria, Santa Monica, Santa Nella, Santa Paula, Santa Rosa, Santa Ynez, Santee, Saratoga, Sausalito, Scotts Valley, Seal Beach, Seaside, Sebastopol, Selma, Shasta, Shell Beach, Sherman Oaks, Shoshone, Signal Hill, Simi Valley, Solana Beach, Soledad, Solvang, Sonoma, Sonora, South El Monte, South Gate, South Lake Tahoe, South Pasadena, South San Francisco, Squaw Valley, Stanton, Stevenson Ranch, Stockton, Studio City, Summerland, Sun City, Sunnyvale, Sunset Beach, Susanville, Sutter Creek, Surfside, Swami's, Sylmar, Tahoe City, Tahoe Vista, Tarzana, Tehachapi, Temecula, The Sea Ranch, Thousand Oaks, Thousand Palms, Three Rivers, Tiburon, Tipton, Torrance, Tracy, Trinidad, Truckee, Tulare, Turlock, Tustin, Twentynine Palms, Ukiah, Union City, Universal City, Upland, Upper Lake, Vacaville, Valencia, Vallejo, Valley Center, Van Nuys, Venice, Ventura, Vernon, Victorville, Visalia, Vista, Volcano, Walnut, Walnut Creek, Wasco, Watsonville, Weaverville, Weed, West Covina, West Hollywood, West Sacramento, Westlake Village, Westley, Westminster, Westmorland, Westwood, Whittier, Williams, Willits, Willows, Wilmington, Windsor, Winterhaven, Woodland, Woodland Hills, Woodley Island, Yermo, Yorba Linda, Yosemite National Park, Yountville, Yreka, Yuba City, Yucca Valley, Yucaipa.